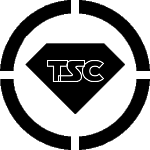 TSC v9 has been released! A new theme to usher in a new age. Let us know what you think of the design, what you like and don't like about it, and how you think we can improve. All suggestions and feedback welcome. Credits for the design goes to Karkooshy. With help by Zezima & Sykog. Additional thanks to beta testers Super Racer Z, and NeoMetalSonic. Re: TSC v9 has been released! It looks amazing. I think it might just be my favorite theme yet. It was a nice surprise to see this up. Looks good! It looks very aesthetically pleasing, and I've yet to experience any hiccups thus far browsing the site. I'm looking forward to a new era in Tescia's history. Excellent work transferring the theme. Nearly everything seems to be in place. Good job! I agree that it might be the best one yet. I personally like darker colors... I think it is easier on the eyes. I know I'm in the minority because most people like lighter colors but the dark blue fits pretty good with Sonic. And I had assumed this place dead. Will you be part of that something? Maybe... possibly... not a chance. i already happen something ok. I like the design of the site. Not the most modern looking site, but it's nice to get away from the minimalistic and flat designmost web developers push in this day and age. My only feedback is to change the font a little, maybe something a little more clean and stylish. I'd recommend Segoe UI, but's that's just me. Easy on the eyes, has a superb display, and functions correctly. Only thing I would change is the font on the navigation bar, but that's just me.